I've struggled with nodulocystic acne since I was 14 or 15. It still haunts me today, as I approach my mid-thirties, rearing its ugly head (pardon the pun!) when I least expect it and lingering for what can be months at a time. I have come to the conclusion that this is a condition that will never go away forever. For me there is no cure, just treatment to try and control the outbreaks. 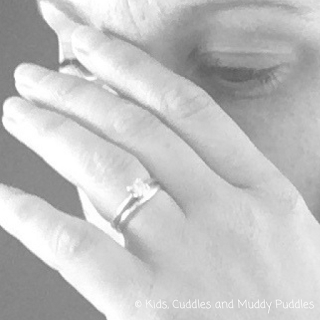 Read on to find out how I have finally come to terms with this painful condition. So what is nodulocystic acne? 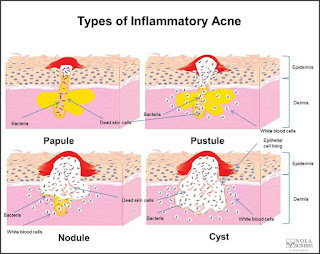 Nodulocystic acne or Acne Vulgaris is a very severe form of acne, resulting in large, red, inflamed and very painful nodules (hard lumps) and cysts (softer, pus-filled lumps with no 'head') deep within the skin. 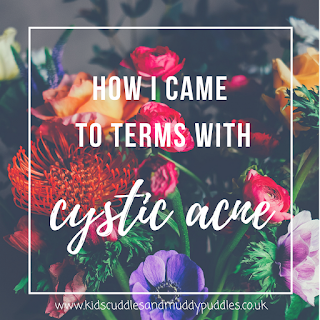 You can have nodular or cystic acne, or like me, a combination of the two. Breakouts usually occur on the face and often on the chest, neck or back. It more commonly affects adolescent boys, but can also occur in women later on in their adulthood, especially during times of hormonal imbalance. Left untreated, this type of acne can cause deep scarring, emotional and psychological damage. 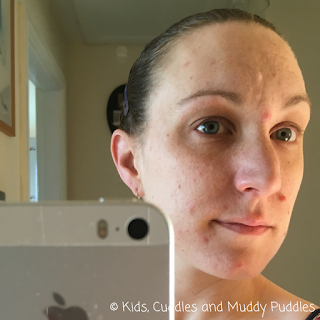 How has acne affected me? Kids can be cruel. I went to an all girls high school so I was ready made bait for some of the bullies! You can hide the redness but can't hide the massive lumps from nodulocystic acne, even with the best make-up. So I was a prime target for cold looks, stares, whispers and name calling by some of my fellow students and those from the neighbouring schools. Being a teenage girl is tough at the best of times, but throw in a face that looks like it's been eaten by vicious mosquitoes and you're instant target practice! So high school wasn't fun in that respect. Aside from the negative comments from others, it was my own self-confidence and self-esteem that was damaged by acne. During an outbreak (and that could just be the one mammoth cystic acne 'spot'), I would shy away from talking to those I didn't really know and trust. I'd try and hide my face with scarves or under my hair if I could. My hand would often be hovering over the affected area, in a bid to cover it from view. I'd avoid making new friendships or going to new clubs or places. I often felt ugly and worthless and wanted to hide away from the whole world! The Roaccutane (a specialist drug - see treatments further down) is what gave me my teenage years back, the first time I took it at the age of 17. By the age of 18, I had amazingly clear skin and not a blackhead in sight! 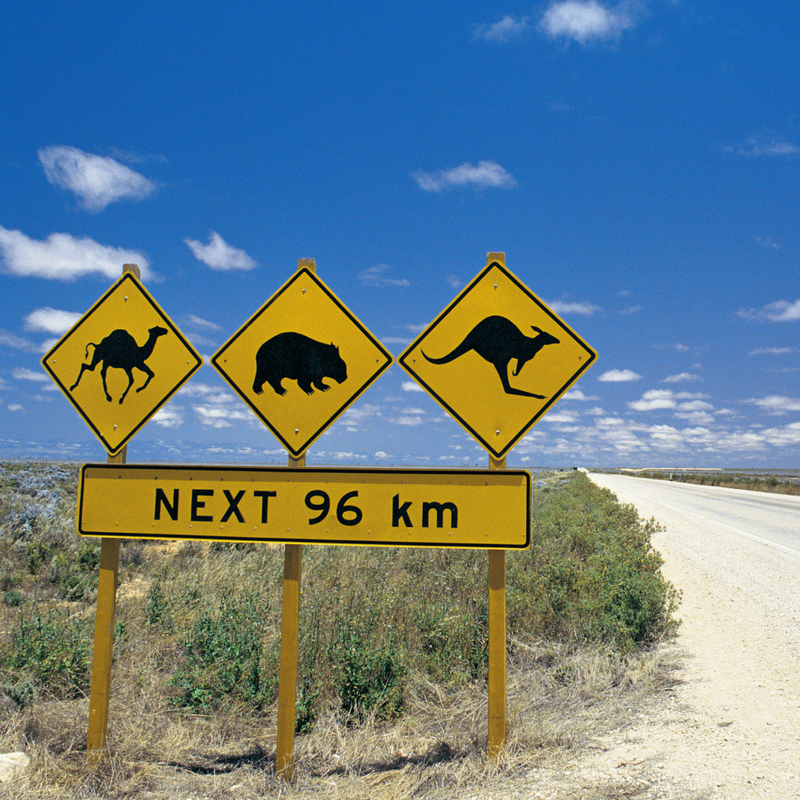 I literally felt able to take on the world so I planned a year long gap year and headed off to Australia with my new found confidence and enthusiasm! The sunshine helped keep my skin clear and cyst free too but I had to be so careful in the sun because one of the drug's side effects is extreme sunlight-sensitivity, so I had to wear a high factor sun cream for a long time after taking it. As I got older, I began to deal with my acne differently. I was 21 and at uni when I was prescribed my second dose of Roaccutane. I think a combination of poor diet, lots of alcohol, late nights and exam stress had aided this outbreak! But once again, the drug came to my rescue and I was more confident from the start. I knew this treatment had worked before so tried not to let it affect my self-confidence too much. I just played the waiting game until it cleared up again! 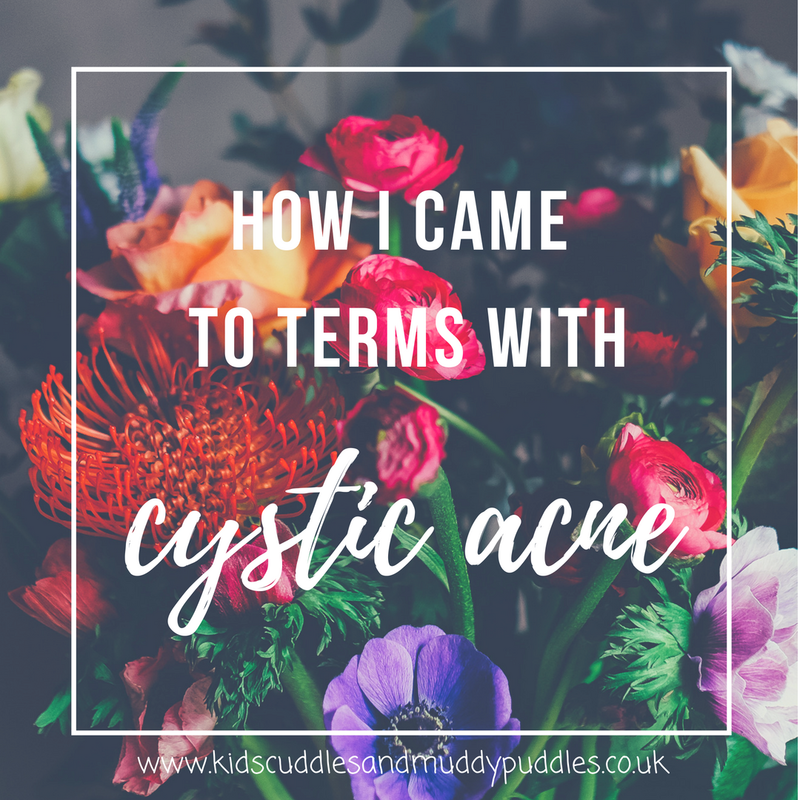 Now, I'm almost 34 and cystic acne has continued to plague me throughout my adult life. It has appeared on and off again over the years, and especially during and after both pregnancies when my hormones were all over the place. It settled both times after about 3 months post-baby, then came back again the minute my body realised I'd stopped breastfeeding! These hormones have a lot to answer for! Of course, the stress of having a baby and the lack of sleep didn't help either! More recently, I've been back to the doctors about my acne and was prescribed a 3 month course of an oral antibiotic to see it it settled this outbreak. I'm just coming to the end of the course now and it has definitely made a difference. I have my review next week so we will see then what the doctor suggests going forward. I'm aware of the risks of taking antibiotics, and becoming immune to them so I wonder if he'll suggest anything else? To be quite honest, I am totally sick of seeing these angry welts staring back at me from the mirror, and it still gets me down a bit every time. I'm a primary teacher now and well, children don't mince their words - they have very little tact at the age of 6! I try my best to disguise my spots when they appear but it's the massive lumps that are difficult to hide, and hard to explain to inquisitive children. Now, I try not to even think about what other adults might be thinking. I tend to try not to let the sideways glances get to me now, but hiding behind my hand is a hard habit to break sometimes! A mild break out this month, make-up free. To others, the occasional spot is nothing more than a tiny inconvenience but to severe acne sufferers, it feels like much more. I will never have flawless skin, and many of my scars have faded over time. I'm lucky to be a woman in this respect as I can 'fix' this with make-up! I have come to terms with the fact that I will probably have outbreaks all the way throughout my adult years and learnt to look after my skin inside and out the best I can. I know now that having acne is not my fault (see causes further down the post) but that I can do things to help settle it and keep it at bay. As an adult myself now, when I see someone with any kind of ailment, negative thoughts don't really cross my mind. Empathy, maybe, but not pity and never disgust. (I've been on the receiving end of both!) Whatever they have, it's part of them and why should we feel we need to comment or pass judgement? I hope that's what other people think when they see me. I just have to remember that I only have cystic acne; it can be managed, and it's not going to kill me or affect my life adversely anymore. Put it into perspective in the big wide world, and I'm lucky really that that's all I have to worry about! So what causes nodulocystic acne? With mild or moderate acne, you get a spot when your pores (skin follicles) become blocked, usually with dead skin cells and a build up of natural oils. When bacteria gets trapped inside the pores, it can result in small red pimples or pustules on the surface of the skin. 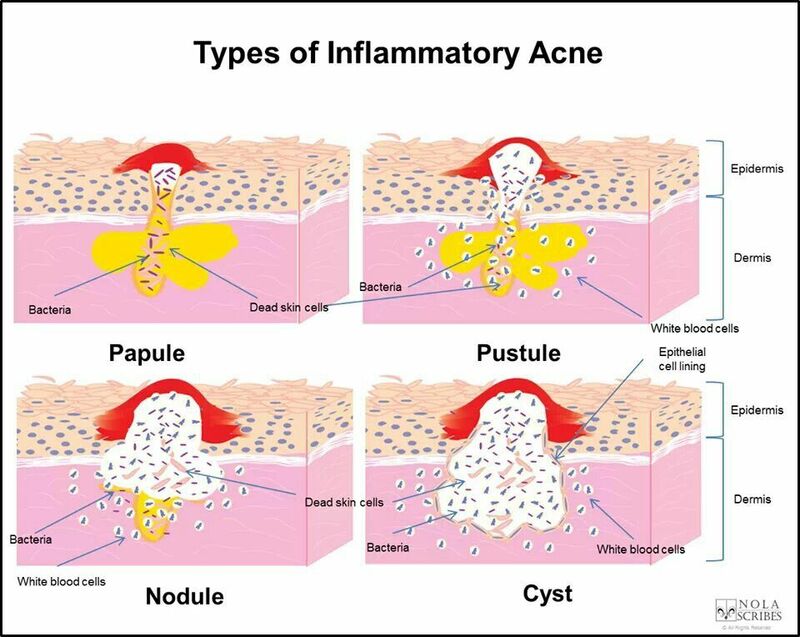 Nodular or cystic acne (or a combination of the two) is when those blocked pores become infected deep within the epidermis (layers of skin). The pore ruptures under the skin causing inflammation to spread into the areas of skin surrounding it. Unlike pimples or pustules, they don't come to a head on the surface of the skin and instead, form extremely painful lumps, that can't be 'popped.' In cystic acne, these pus-filled lumps can be slightly softer than the hard, stubborn lumps of nodular acne which stay intact under the skin. Both kinds of lump can linger for weeks or even months! And trust me, they are really painful and can even cause headaches! Hormones and genetics are the major culprits of severe acne, so unfortunately if a family member suffered with this, you may do too. This is also why it can often be seen in women during their monthly cycles or as they go through hormonal changes during their lives. Stress can also be a contributing factor, as can lack of sleep! So no wonder mine came back during and after both pregnancies. No beautiful, pregnancy glow here - unless you count the Belisha beacon look?! Poor diet, bad skin regime and lack of exercise are not the causes of nodulocystic acne! However, making sure you eat well, look after your skin with suitable products and stay reasonably fit will of course make you feel better from within, and does promote good overall health and well-being. How can you treat nodulocystic acne? 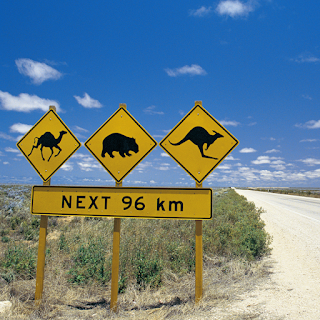 Well, there are lots of things you can try to settle down the outbreaks. Over the years I'm pretty confident I've tried them all! At first, I was put on the contraceptive pill in a bid to control my adolescent hormones and lessen the secretions of sebum (oils) from the pores. At the time, I was also prescribed a topical treatment which had antibacterial and anti-inflammatory ingredients. For me, these didn't work so I was then prescribed a course of oral antibiotics. There are many you can try, and with my doctor's advice, we worked through a few types over the next 9 months or so. As with each treatment, you have to allow time for a build up in your system and for it to be effective. This can be a long and stressful process, because you are constantly living in hope that one day you'll notice a difference. For me, that didn't come from these tablets so I was eventually referred to a specialist dermatologist. This dermatologist changed my life! I was prescribe the "last resort" drug that is used to treat severe acne. Back then, when I was 17, it was called Roaccutane which contains the drug isotretinoin. It works by reducing the amount of natural oils secreted by your skin so blocked pores are less likely. It also kills the acne causing bacteria and relieves redness and soreness. 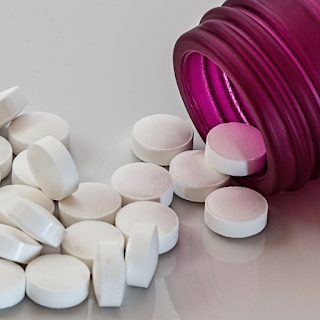 This drug has some incredibly serious side effects (you can find them here on the NHS website) and you must be monitored regularly by doctors. You need to know all the risks involved before you start taking them so make sure you are well informed. There are other more natural remedies you can try, (and I have!) such as holding an ice-cube on the swellings, using oil-free and unscented face care products, use non-pore blocking make up (it does exist, you need to look out for 'non-comedogenic' on the labels), changing towels and pillowcases regularly and of course, maintaining a healthy balanced diet and exercise routine. 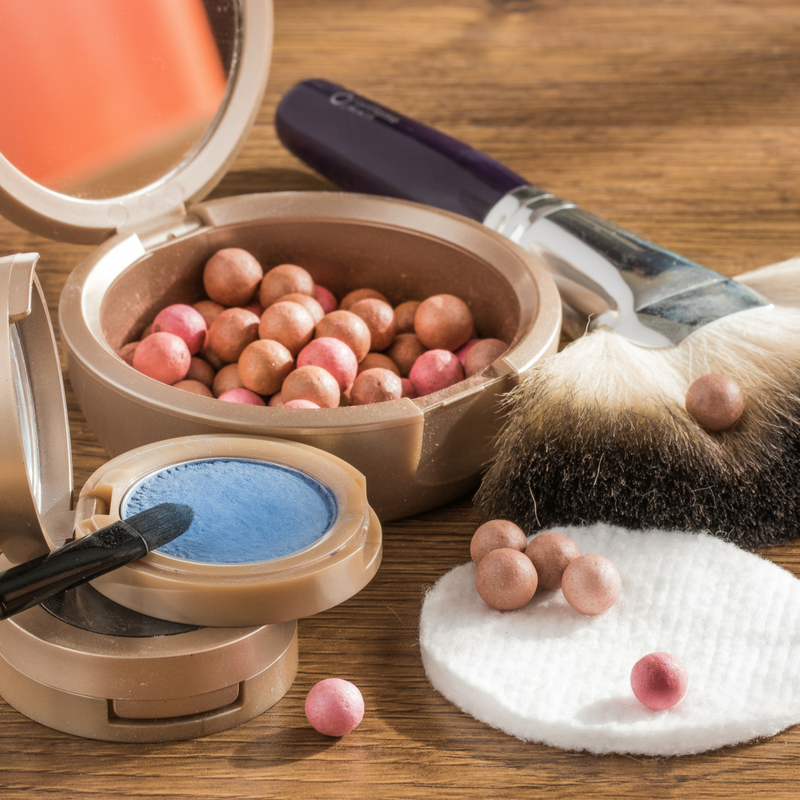 Unfortunately, there is no one magic cure, and sometimes (as is the case with me) you can go a few weeks, months or even years being mostly acne-free after certain treatments, only for it to come back again and again later on in life. If you have troublesome acne of any kind, especially in adulthood, I urge you not to suffer but to go and see your doctor. Please be patient with any treatments you are given, allow them time to work. Be aware that your doctor may want you to try many different courses of action over a long period of time, before finding something that works or referring you to a specialist dermatologist. Look at your lifestyle, eating habits, sleeping patterns, make-up use, skin care and exercise routine. Can you tweak any of it to help yourself be healthier from the inside out? It is hard to be comfortable in your own skin when you have such a love-hate relationship with it, but I'm still learning! I hope my story has helped you to understand that acne is just a part of me, it no longer controls me or hinders me but makes me more determined to just get up and get on with it! After all, life is too short to hide away when the majority of people don't even notice or care anyway! And the people that love you the most, wont even see your flaws! 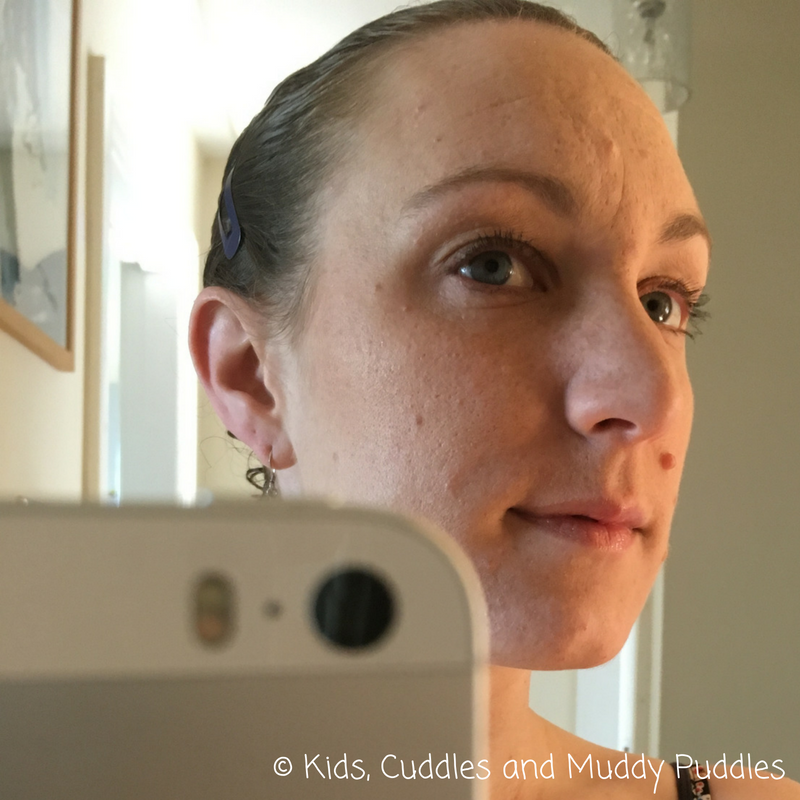 To my children I am Mummy, spots or no spots. Their love is unconditional and it's what keeps me going on the bad days. Finding joy in the little things: Sometimes it is tough to think of what little things bought you joy in a tough situation, but this is why I always add this part to the end of my posts. No matter how hard you think you've got it "in the moment," there is always someone who is having a tougher time. It is good to remember this. Having a condition like nodulocystic acne this has taught me to be more confident in myself, not to let others bring me down and to rise above any unwanted or thoughtless comments. I have a thicker skin, and therefore no longer let the opinions of others upset or insult me. I am more resilient and I am empathetic to people who are suffering their own battles. I only hope that my children learn these qualities from me and grow up to be kind to others, always. I am me; this is part of who I am and I am learning to love the skin I am in! Oh you must have been through some tough times with this condition and I applaud your closing comments. Although I have never had acne, I guess we all had something we struggled to deal with. My husband suffered badly as a teen and into young adulthood and still gets the odd flare up now. I know it affected him deeply. Thank you fo ryour honesty and for speaking out with such confidence and positivity about this condition. I love posts like this that make others aware. I have heard of acne before obviously but never cystic acne. Thanks for sharing with #TriumphantTales.